Chris Stuckmann reviews Goosebumps 2: Haunted Halloween, starring Madison Iseman, Jeremy Ray Taylor, Caleel Harris, Ken Jeong, Wendi McLendon-Covey. Directed by Ari Sandel. I think Chris is really stressed lately with his small independent film he’s doing. He just seems not as happy and not as into everything e.g. halloween. Complains about a movie with no energy while giving a review with absolutely no energy? 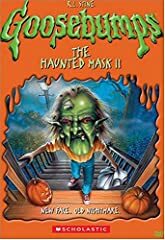 I remember being scared as a kid by the haunted mask episode of the goosebumps tv series. It had creepy atmosphere, the mask was also creepy, and you could feel the horror going through the mind of the kid who put the mask on. He couldn’t get it off and was desperate for her normal face to go back how it was. Plus he only had until the end of Halloween or else it would be permanent. That’s what makes for quality entertainment. You don’t need a big budget or great effects. Just passion and good writing. Do a review for CREEP!! 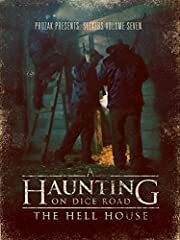 I had no idea this movie was even a thing. Still seemed like a begrudgingly given C+. Please review «22 July» by Paul Greengrass!! Is that the fat kid from It??? Why don’t they just adapt the actual stories? When are all the Halloween reviews coming? Or have you decided not to do them anymore? What really disappointed me was that they promoted the trailer as if jack black was throughout the whole movie. But he was only in it for literally about 6 minutes towards the end. Other than that it was a fun movie. My son liked it. Sooooo disappointed in this movie. It felt like an ABC Family straight to T.V. film. It had little relevance to the original and the only Goosebumps character in it was Slappy, really shitting on the idea the first movie had with all its cameos. FEAR STREET SHOULD BE MADE INTO A TV SERIES! DONE RIGHT I’D WATCH IT!!!! Why did he even bother reviewing it? It should have been clear what kind of movie it was going to be. 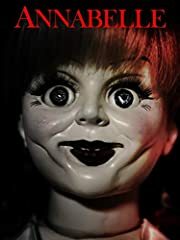 I just find it disappointing that Slappy isn’t scary looking in the least in these films like how he looked on the cover of the first book, he just reminds me of Jack Black for some reason. Are you going to review apostle? Gareth Evans + horror, is a must.